Get Your Drones Here: Is NPR Advertising Domestic Drone Use? : NPR Public Editor A report on domestic drones raised criticisms that NPR was overlooking a privacy threat. Good point, but premature. That said, right and left might agree on the concern. Let's talk. A Predator B unmanned aircraft returns to the Naval Air Station in Corpus Christi, Texas. U.S. Customs and Border Protection is expanding its use of drones to patrol U.S. borders. Just because you don't like the subject of a story doesn't mean that the story was wrong. Salon published a scathing reaction to Brian Naylor's recent All Things Considered report on the nascent use of drones domestically. The article, written by Glenn Greenwald, called Naylor's five-minute segment a "commercial for the drone industry," saying the report overlooked privacy and safety concerns. Some listeners wrote with similar criticism. "He barely touched on the extraordinary ethical and privacy issues involved. I believe most Americans would be very uncomfortable with the idea of police and government agencies using drones to enforce laws and monitor citizens," wrote Zack Anchors of Portland, ME. "It was all praise without any consideration of possible negative implications," wrote Aleksandra Sacco from Chicago, IL. ...I thought it would be informative to detail how those in the industry see their potential use. I was surprised, as I venture most of our listeners were, just how many potential applications there are for these things, everything from crop dusting to pipeline inspecting to search and rescue uses. Of course I interviewed someone, in law enforcement, who has had firsthand experience operating one. And I then raised the concerns about the privacy questions regarding widespread use of drones. I reject that the issue was somehow glossed over. There were two, admittedly short, sound bites, which touched on how drones could be used in all manner of potentially troublesome ways. That those concerns came at the end of the story doesn't mean they were an afterthought. In fact, in radio, what comes at the end of the story is often what listeners most remember. After reviewing Naylor's story, listener letters and Greenwald's column, I think that the complaints raise good—even intriguing—points for a second story that focuses exclusively on the privacy concerns surrounding potential police use of drones here at home. But that said, Naylor's story was fine for what it was—an introduction to the many uses under consideration for domestic drones. The critics wanted one story, but this was another. The introductory story, moreover, was the more appropriate one to do first, it seems to me. I was unaware of the many growing domestic uses for drones, and I suspect that I am in a majority of listeners. These uses include tracking livestock, crop-dusting and search and rescue missions. Telling us about them hardly makes the story a sales pitch. Naylor acknowledged the privacy issues in the segment, and while I strongly agree that we should consider them in greater depth before drone surveillance becomes common, such domestic surveillance is not common yet. The privacy concerns are not reason enough to disregard all the other drone uses that may be of value. The drone itself is neutral, after all, and not some inherent evil. What matters is how the drone is used. A related safety issue is valid but hardly pressing today. 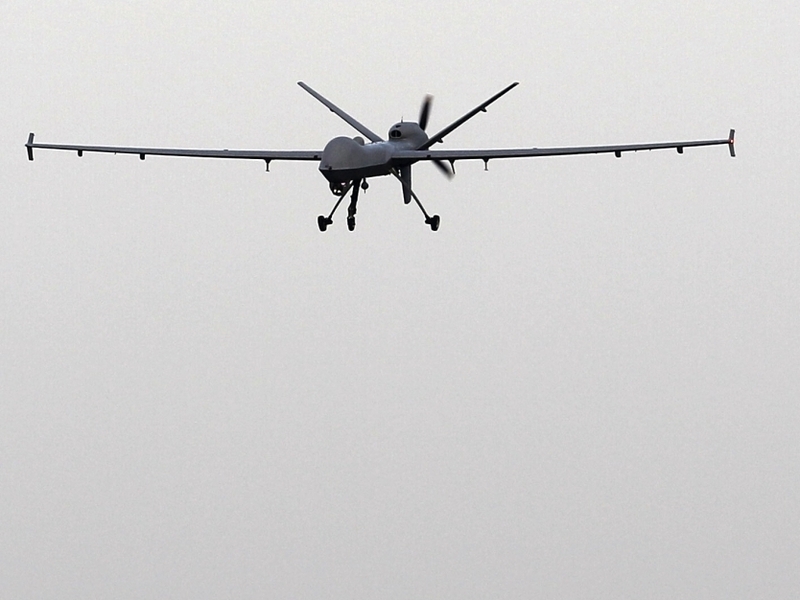 Drone malfunctions during military operations have caused a small number of civilian deaths. But let's get back to the privacy issues. I would love to hear your thoughts on them and learn from any factual insights some of you might have. This does seem to me to be an issue that bridges right and left, and confronts the fast changing role of technology in our society.